Wallpaper is still a favourite interior choice when people renovate, and I’d go so far as saying it’s a mainstay rather a trend. 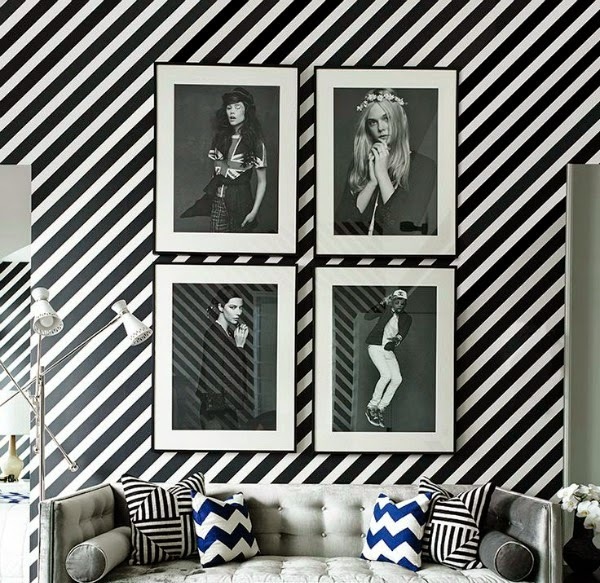 Wallpapering in a strong pattern still causes people’s hearts to flutter a little about the commitment required. The thought process being I’ll go off it, it might not go with my furniture or artwork. However, it’s not so difficult to replace. 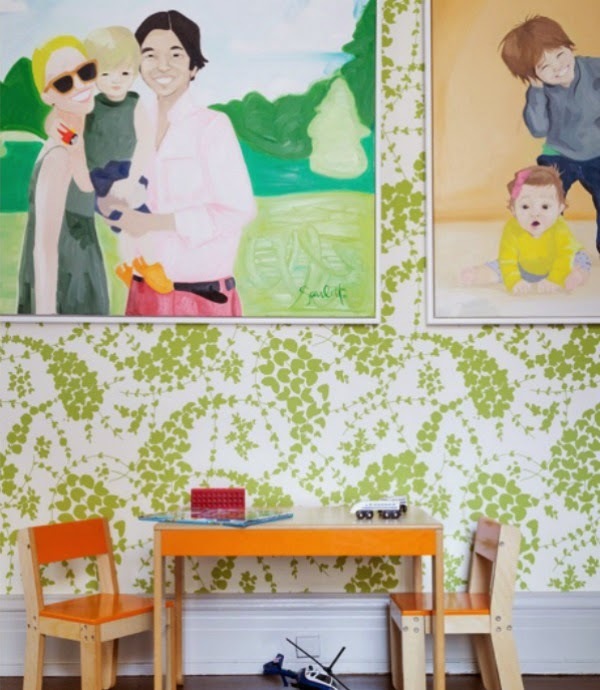 Mention patterned wallpaper and art and people get a little skittish and nervous. But it doesn’t have to be. Honest. We generally don’t think twice about repainting and it really isn’t much more work to repaper. 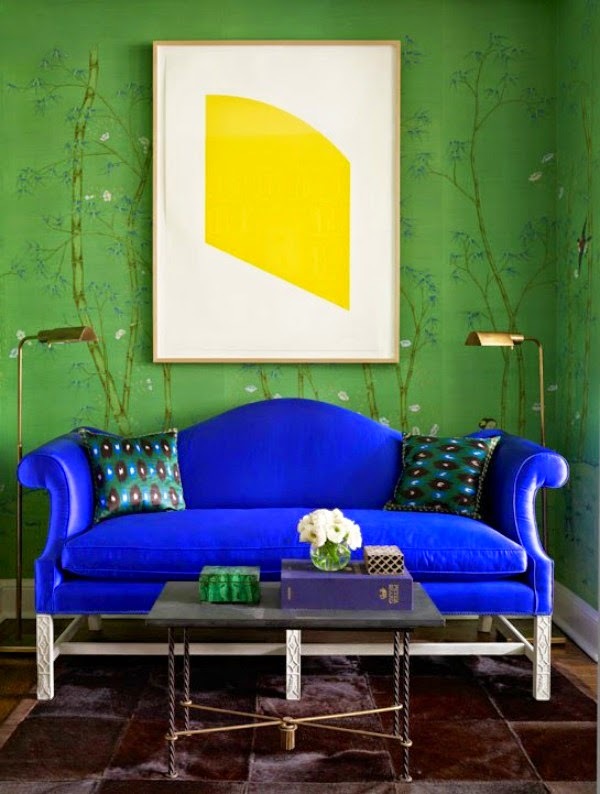 Great wallpaper can immediately set the tone for a room and really quickly create a mood. I have a wonderful vibrant patterned wallpaper in my own living room, and I love it. If interiors magazines and Pinterest have shown us one thing, it’s that layered is best. You shouldn’t fear it “not matching.” Having things too matched feels staged, and a curated collected look is far more personal. Where it can get slightly tricky is when you hang your art. 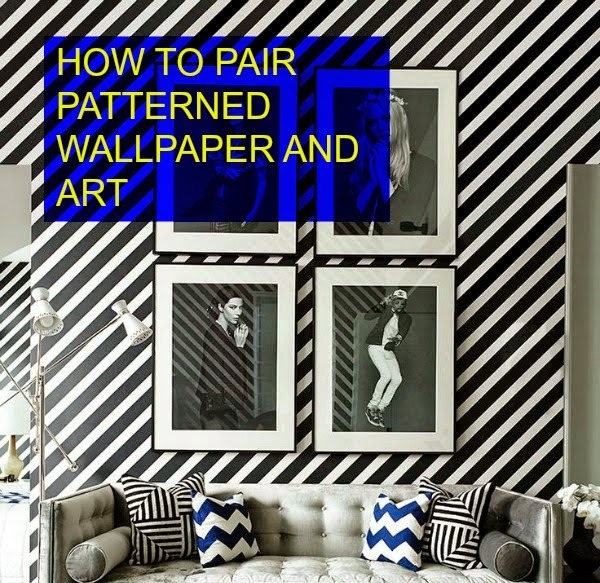 If you liked this post about patterned wallpaper and art, you might also want to see more wallpaper here. 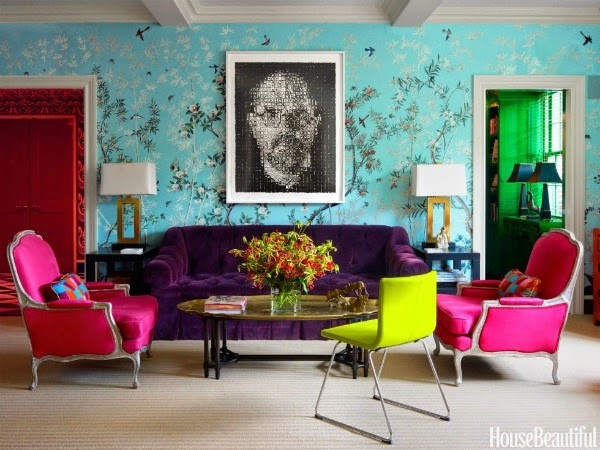 If you’d like to see more about colour in your home have a look at these great posts here.